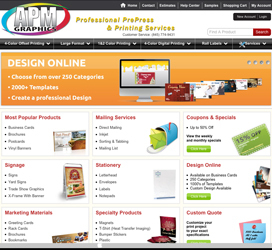 Welcome to the APM Graphics Homepage. We offer original graphic design and quality printing at a fair price. We supply graphic design and printing solutions to small businesses as well as retail customers. No job is too big or too small. APM Graphics will take your project from concept to finish product. APM Graphics also has an Online Print Store. Please feel free to see the variety of print products we offer, along with below retail pricing.